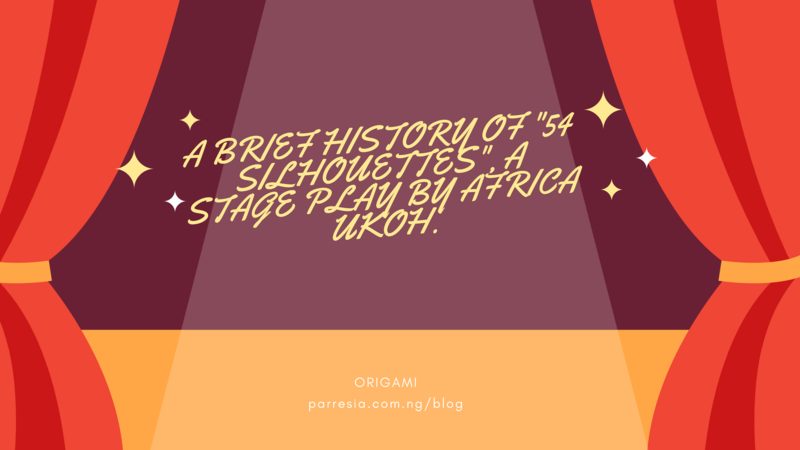 Parresia Blog | A BRIEF HISTORY OF “54 SILHOUETTES”, A STAGE PLAY BY AFRICA UKOH. 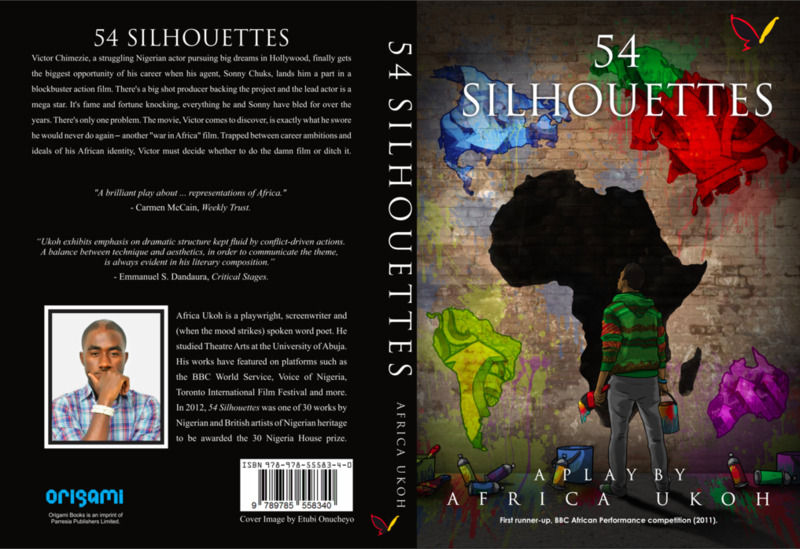 A BRIEF HISTORY OF “54 SILHOUETTES”, A STAGE PLAY BY AFRICA UKOH. 27 Aug A BRIEF HISTORY OF “54 SILHOUETTES”, A STAGE PLAY BY AFRICA UKOH. – I first wrote “54 Silhouettes” in January-March of 2011. At the time I was a final year student studying theatre arts at the University of Abuja. *Side note: The play was first titled “53 Silhouettes”. If you haven’t guessed by now, the number 54 is a reference to the number of countries in Africa. However, at the time I was writing it South Sudan hadn’t completed its transition into an independent nation. – In June of 2011, an abridged radio drama version of the play (just titled “Silhouettes”) won the first runner-up prize in the BBC African Performance Competition. – In September of 2011 the radio drama was broadcast by the BBC World Service. – In July of 2012 “54 Silhouettes” was one of 30 creative works by Nigerian and British-Nigerian artists to win the 30 Nigeria House prize. The award, an initiative of New World Nigeria in partnership with Theatre Royal Stratford East, provided grants to aid 30 artists in producing their works. – In November of 2013 “54 Silhouettes” received its Nigerian premiere performance, supported by funding from the 30 Nigeria House Prize. The performance was produced by African Rennaisance Theatre and staged in Jos, at the Alliance Française centre. – This was particularly special for me because Jos is the city of my birth, childhood and youth, and so a huge part of my development as an artist. Super proud to have directed and staged my very first professional theatre work there. Shout out to J-Town! – In December of 2013 “54 Silhouettes” was staged in Abuja, produced by African Rennaisance Theatre with support from the French Institut of Nigeria. – Building from the staging experiences, I rewrote the play between December 2014 and January 2015. It was a personal landmark moment. 2015 marked ten years in my journey as a writer and brought with it many invaluable lessons in craftsmanship. – In April of 2016 “54 Silhouettes” featured in a paper published in the web journal Critical Stages, a publication by the International Association of Theatre Critics, alongside other works like Sefi Attah’s “The Last Stand” and Donald Molosi’s “Blue, Black and White”.